This 33.5mm. 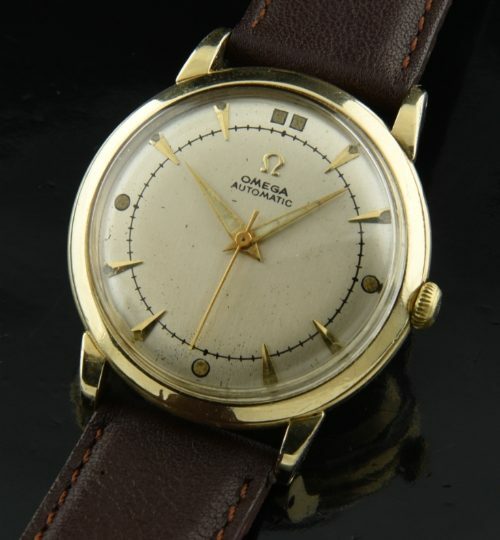 OMEGA automatic dates to about 1952 and is a perfect every-day wearing vintage watch. This OMEGA has the early bumper automatic winding movement which was just cleaned, regulated and accurate. The dial was restored many tears ago and retains the original raised gold arrow markers and Dauphine hands. 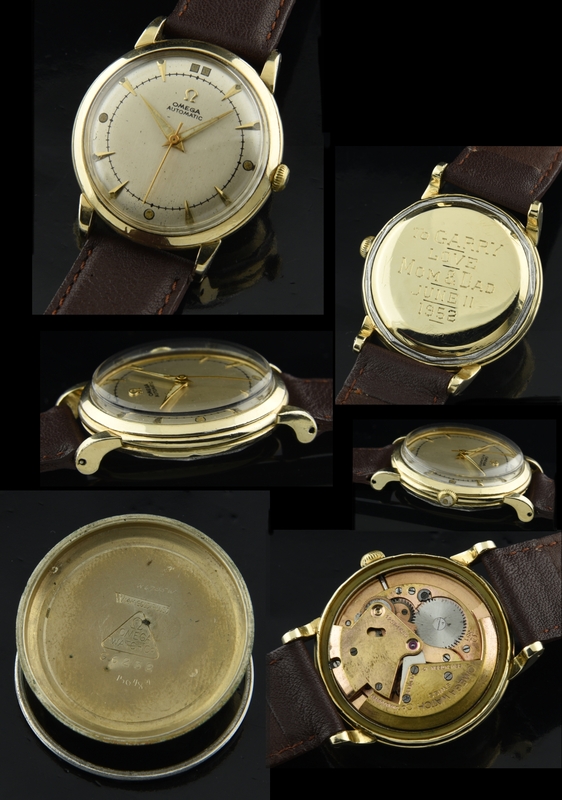 The gold filled case displays very good shape for its age, with a screw back having a nostalgic inscription. This watch boasts highly curved lugs. The winding crown is generic.